ServiceMaster Clean Saint John has been providing janitorial services to businesses in southern New Brunswick for over 30 years. We pride ourselves on providing top quality service and ensuring that the facilities we serve are safe, presentable and well maintained, in a timely and cost efficient manner. Our highly trained janitorial professionals are dedicated to going above and beyond your expectations. Our team is committed to ensuring the functionality of your facility by integrating services, processes and technologies. We have the versatility to take on any size workplace from a single office to an office tower. Using our Capture and Removal Cleaning® techniques and Green For® cleaning products our staff work efficiently to create a healthy and comfortable work environment for your staff. ServiceMaster Clean Saint John provides janitorial services to a wide variety of industries. 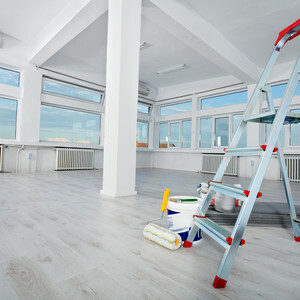 We work with you to understand your unique office cleaning needs and customize our services and schedules to keep your facility looking great. Every day more than 100,000 businesses worldwide depend on ServiceMaster Clean to keep their facilities neat and clean. That’s because we hire the best people, train them well, and provide them with the most technologically advanced products and equipment. The result is service so good…we guarantee it.